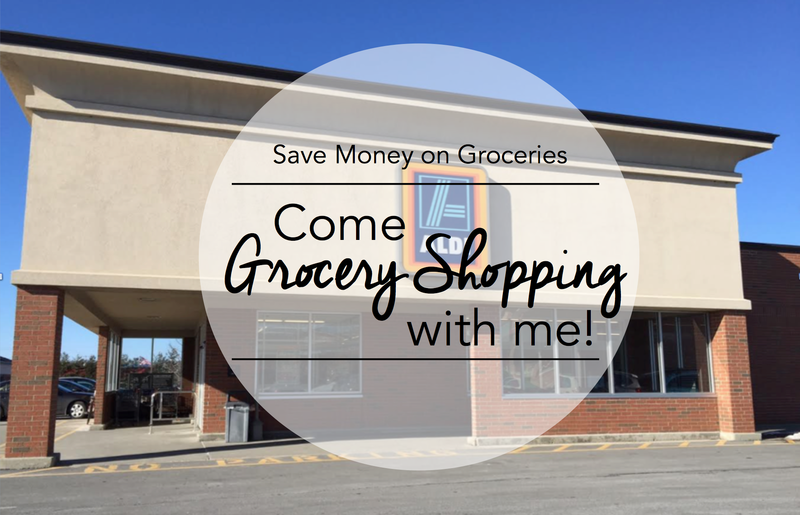 Save Money on Groceries: Come grocery shopping with me! Last week, I gave you some tips on how to cut your grocery budget without couponing. Today, I’m going to show you how I use all of those tips to make an easy and successful grocery shopping trip. I hope this helps you learn more about shoppingg at Aldi and how you can plan out your shopping trips to save time, and money. Let’s get right into it. 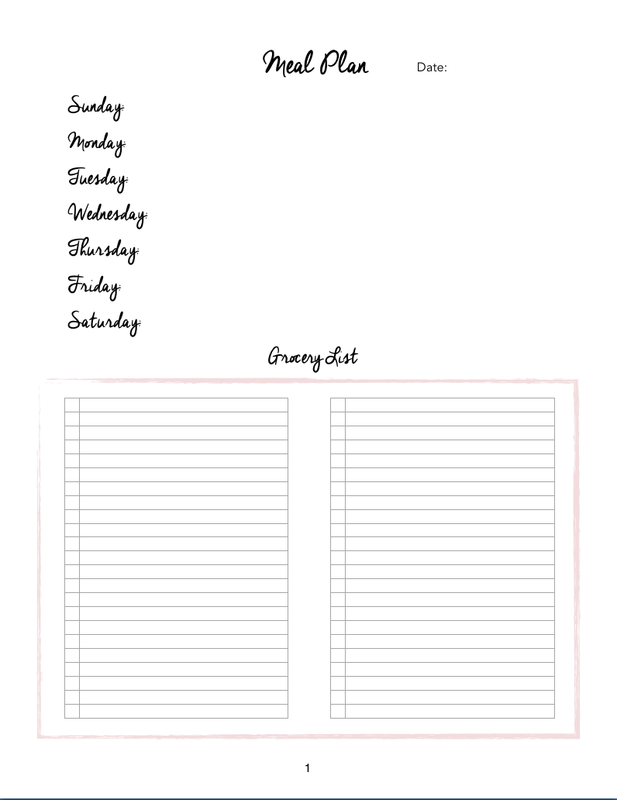 First, we start by making our list using my free meal planning printable. We stand in our kitchen and look through the pantry and fridge to figure out what we need for lunches to take to work and for the meals we have planned for the week. Many times, we’ll plan our dinners based on what we have in the fridge or pantry for last week that we can reuse for upcoming meals or if it’s a particularly rough week, we’ll figure out what’s cheapest based off of non-parishables we already have. Then, we grab our grocery bags and hit the road. Our first stop is always, always, always Aldi. The groceries there are so much cheaper than our local grocery store. 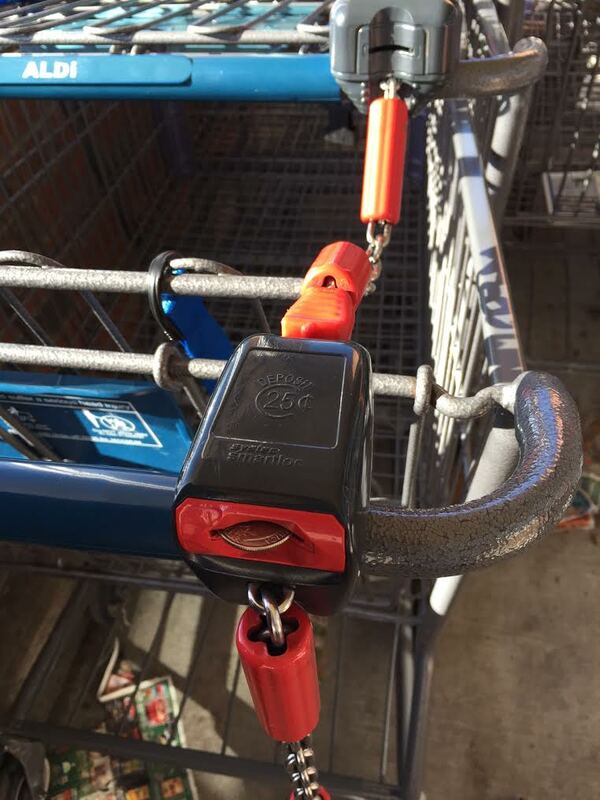 We put a quarter in to grab a cart and we start our shopping trip. We zig-zag through the isles and grab all the things on our list as fast as we can. Seriously, as fast as we can. Here is our basket full of our weekly Aldi’s regulars. Our favorite items include: greek yogurt: 75 cents per cup, chicken: $7.11 for three HUGE breasts, baby spinach or spring mix: $2.49, blackberries (when they have them): $1.99, almond milk: $2.49, feta cheese crumbles: $1.99, whole grain spaghetti: 89 cents, flour tortillas: $1.19, among other things. Have these prices swayed you yet? They should! It might seem like marginal savings compared to what you’re used to, but it all adds up. Another thing to keep in mind is that Albany has a pretty high cost of living compared to other cities I’ve lived in like Rochester, for example. The prices I’ve listed here may be lower or higher depending on your area, but Aldi is seriously worth it! There are a lot of products that I actually like more than name brand. Friendly Farms Greek Yogurt is one example. Also, Fit n’ Active brown rice and whole grain pasta are weekly purchases. There are so many products you can get for much less than the typical grocery store. 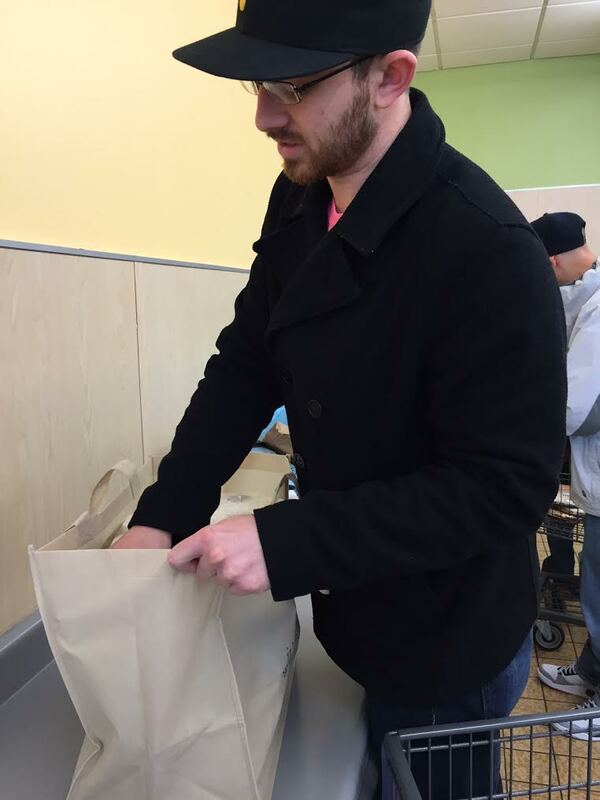 Once we’re done checking out and high five-ing from all the moolah we saved, Matt bags all of our groceries for us–just kidding, sometimes I help out a little, too. Sundays are our lazy days (other than our shopping and laundry). I’m glad he’s a trooper, because I most certainly would not let someone take a pic of me in my grocery shopping outfit and put it online. HA! 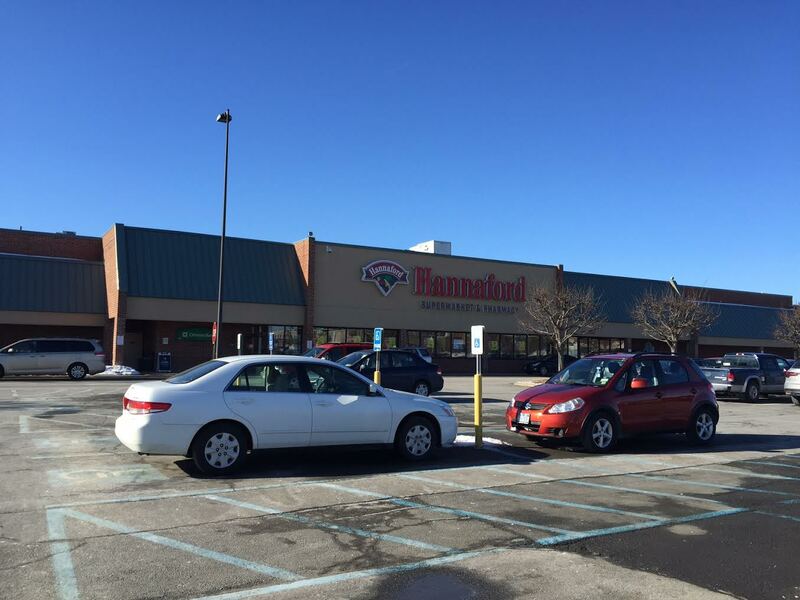 This is Hannaford, where grocery budgets go to die. Our strategy for the local grocery store is easy: get in, get what we need and get the hell out. If you tend to linger and shop around in the grocery store, you’re going to kill your budget. It’s that simple. It’s like going into Target for vitamins but just taking a “quick browse” by the clothes. You know it’s gonna be hard to control yourself! My biggest problem is lingering by the fancy cheeses. Fancy cheese, unless served at a fancy dinner party, is a waste of money, but for some reason, when I see the brie I start thinking of fancy salad creations that can make my lunches so much more enjoyable and probably will turn me into a more interesting person. I seriously just have to walk. a. way. On this particular day, I went into the store thinking I was going to get celery and carrots for snacks at work. 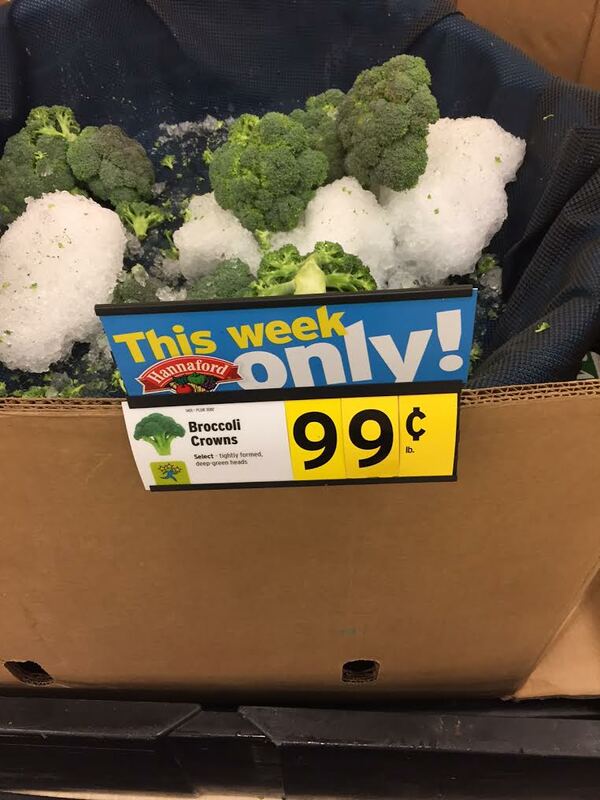 Then, I saw that the broccoli was on sale. So, I opted for the raw broccoli instead of the celery. No, I didn’t just buy it because it was on sale, I happen to actually really enjoy raw broccoli. YUM. Same thing with these tomatoes. For awhile we were buying cherry tomatoes because they were easier than cutting up whole ones and came in around the same price. 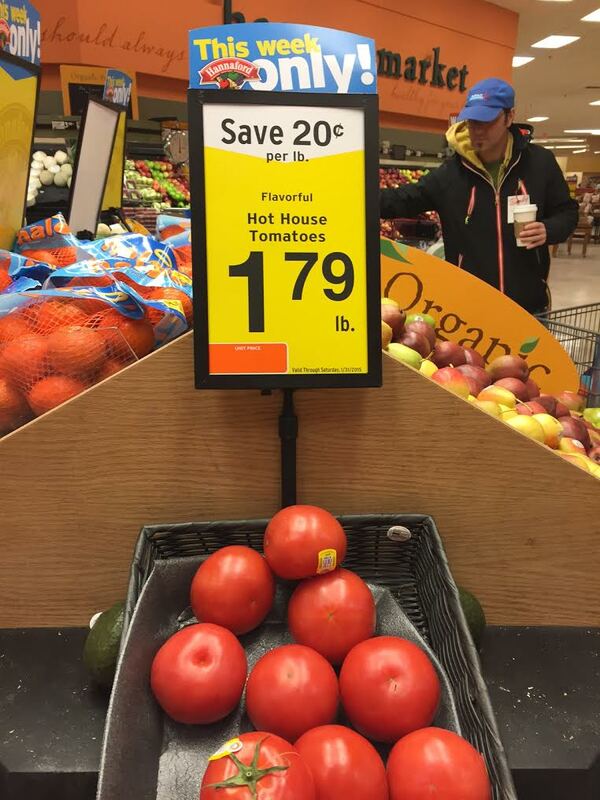 But when I saw these hot house tomatoes (Does anyone know if the type of tomato makes any difference?) I got them instead because they were on sale. Between the two of us, Matt and I have a $100 per week grocery budget, and we very very rarely spend it all–even with a 6’4″ giant to feed. Aldi can be intimidating, and it might be a pain to make two stops, but I promise you that with a little pre-planning, your wallet will thank you later. 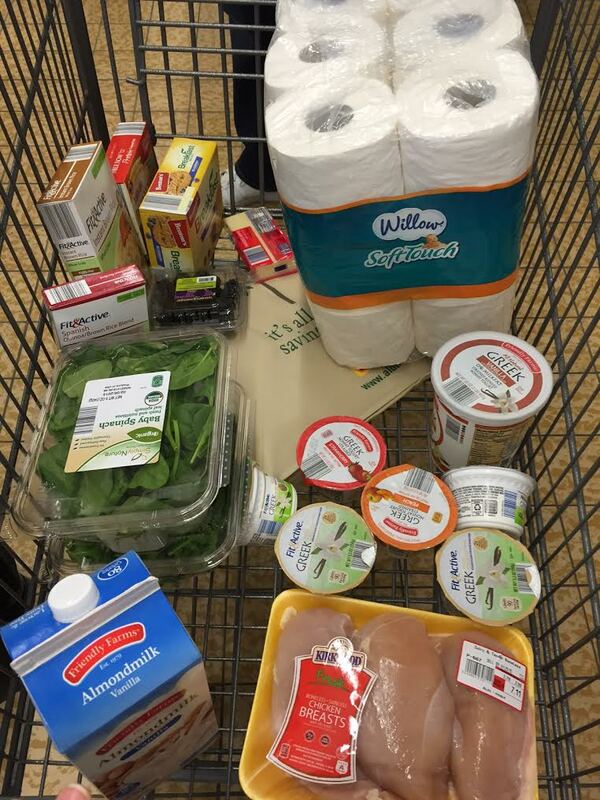 How do you guys grocery shop to save money? 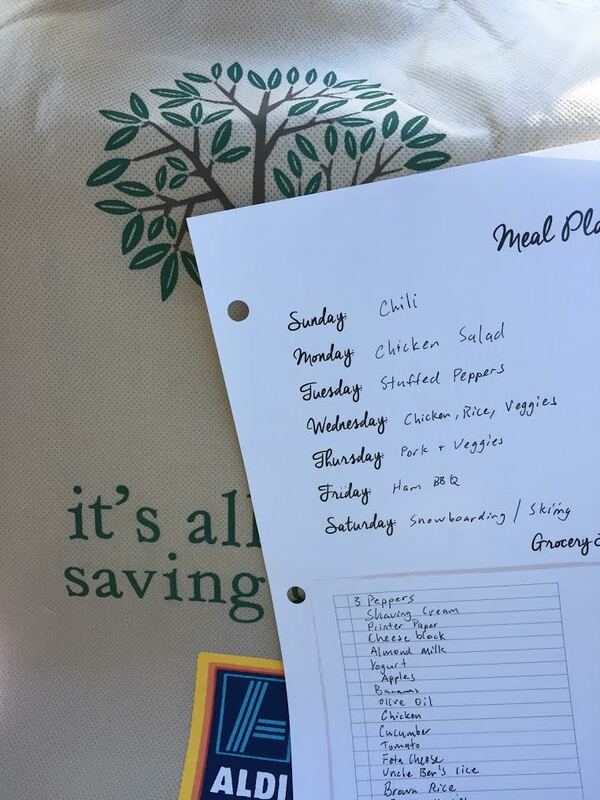 I would love to hear your tips and tricks for meal planning and budgeting. Let me know in the comments or tweet me @qqquimby016 See you next time! Like what you just read? Share with your friends!